At times, when developing the application or after developing the application, we are interested to test and break our application with all possible ways we can so that end users don’t end up facing such issues. 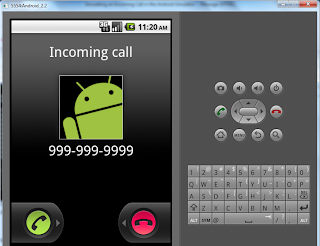 One such scenario that we possibly miss out while testing our application using simulator is when a call arrives and our application is active. 1. 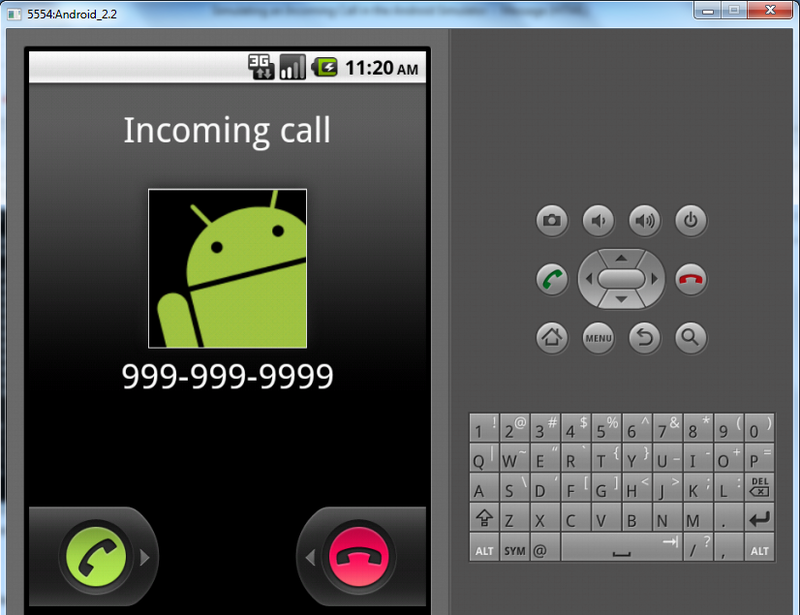 Start the Android Simulator and we can notice the number that is displayed on the title bar (as showing using the arrow mark in the screenshot below). In this case it is 5554. 3. 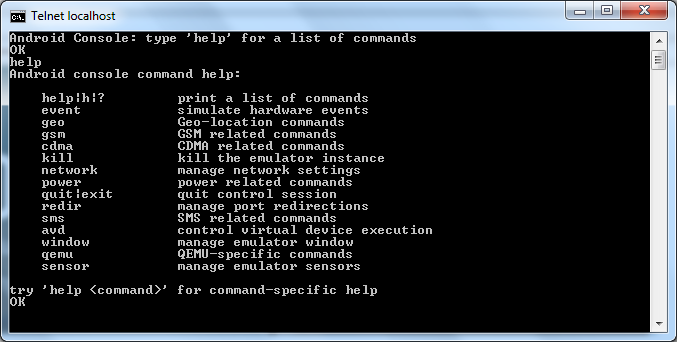 This will open the telnet command session to the simulator. 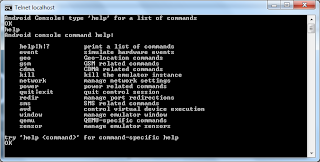 In this session, we can type help command and this will display all possible actions that we can perform on the simulator. This helps us by providing a new level of testing using the android simulator and not depend on android devices in such scenarios.